I was unable to attend a Magistrate Court on due date for a Traffic Offence what shall I do? 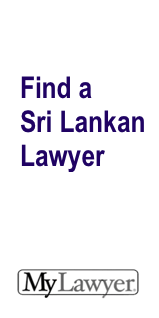 Sri Lankan Law Forum » Traffic Law Forum » I was unable to attend a Magistrate Court on due date for a Traffic Offence what shall I do? Either you can call over at the relevant Police Station to obtain the next date or motion be submitted to the Magistrate Courts where Traffic cases are taken up and conclude the case. You must also find out the order from the Police Station whether you were re-summoned or warrant issued. The best way of sorting out of a similar problem is to retain attorney-at -law in order to file motion. Remember to honour the Court date.